All types of Plastering work & repairs. SGB Plastering and Coving has been trading since 2004. Based in Mid Sussex, I have the skill, experience and specialised tools to complete Plastering and Coving Installation projects of any size or complexity. All work is guaranteed. Quotes are free of charge. Contact me today. If I can’t take your call, please leave a voicemail. Most messages are responded to within one business day. I would like a quote for some work that I need completed. Please contact me by phone or email as soon as possible to discuss the details. 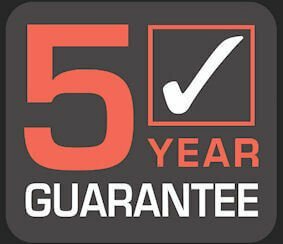 All Plastering Work & Coving Installations are guaranteed for a minimum of 5 years. SGB Plastering has provided an honest and reliable plastering service to homes and businesses all across Sussex, London and the South East of England since 2004. I am confident taking on Plastering projects of all sizes and complexity. My future as a plasterer depends on the satisfaction of my customers today. With this in mind I’ll always make every effort to cause as little disruption to your household or project & allow extra time to make sure we always leave your premises as clean as possible. Understanding your project and all of the details that matter to you is really important to us. We’ll take the time to clarify everything in advance and will be happy to talk through anything you have questions about. It’s this attention to detail that’s earnt us a so many satisfied customers & our being recognised as a first choice plastering service. I’ve uploaded a gallery of photos that showcase the Plastering and Covering work that I’ve completed recently. Alternatively take a look at my checkatrade page, it will show you additional photos and you can also read verified reviews and feedback from real customers.